The kids jumped out of the bright yellow bus one by one, landing on the ground with a sharp thwack and scurrying over to the grass of Mattie Kelly Park in Destin, Florida, waiting for the rest of their friends. 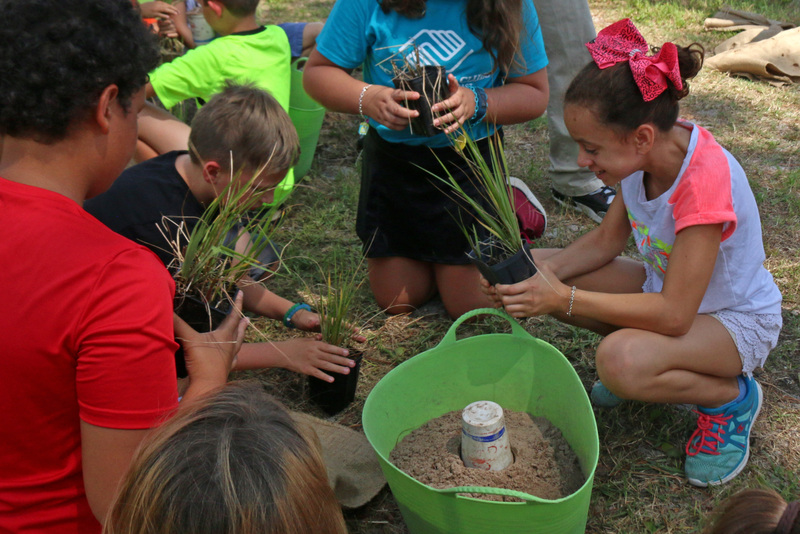 The bus would take two groups of students that day from their summer programs at the Boys and Girls Club to the park, where each student waited patiently to pick up his or her very own smooth cordgrass plant from staff at the Choctawhatchee Basin Alliance (CBA). Growing in black plastic pots, the long stems of the grasses waved slightly in the summer breeze, tickling the faces of the kids as they carefully transported the pots to a spot next to the water. Mattie Kelly Park borders the Choctawhatchee Bay on the Florida Panhandle and has experienced erosion in past years due both to storm pressure as well as the constant buffeting from boat wakes. After taking care of the grasses all summer, the students were ready to plant them in a brand new living shoreline. Field trips have a large impact on students of all ages. In a report published by the U.S. Travel Association, 59% of students who took educational trips had better grades, 95% higher graduation rates from high school, 63% higher graduation rates from college and even 12% higher income per year. Moreover, in a 2006 report for Environmental Education Resources, Susanne Bogeholz writes that nature experience, like hands-on environmental field trips and workshops, “has frequently been shown to influence environmental action in everyday situations.” That was the goal of the morning: to inspire each participant to become a water steward in the local community. As a staff member at CBA, I was on hand to help the kids plant. 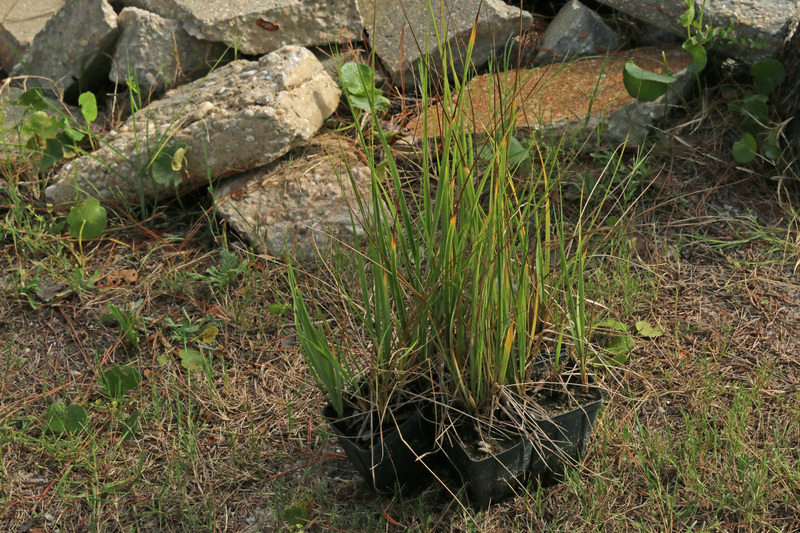 Kneeling on the soft ground, we carefully placed five grasses in burlap bags, filling the interior space around their roots with special soil. As we worked, we talked about the living shoreline and how the grasses would stabilize the earth and protect it from wave energy. We described what kind of fish would live there, including juvenile sportfish like redfish and sheepshead. “I like to eat redfish!” one young man piped up, with many heads nodding in unison. 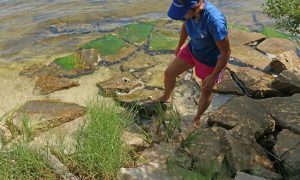 Destin considers itself the “luckiest fishing village,” so it’s no surprise the kids connected to the idea of providing additional habitat for fish species they already loved. Once the burlap bags were filled, I used a cord to tie them tightly shut, and a group of students picked up the bag together – “like a pizza box,” we suggested – and walked it over to the living shoreline where Alison McDowell, Director of the Choctawhatchee Basin Alliance, carefully placed them together. Their planting finished, the Boys and Girls Clubbers lined back up to return to the bus. While they only spent about an hour and a half on the shoreline, they gained first-hand experience of what it took to create real habitat. They watched a rocky, rip-rapped shoreline turn green with plants they had raised themselves. One student told me emphatically that he would be back to visit his plant – bringing his family with him. Though field trips are time-consuming and can be expensive (though in this case all the planting materials were free), they provide a window into an environmental world that many kids have never experienced before. What could be better than that?